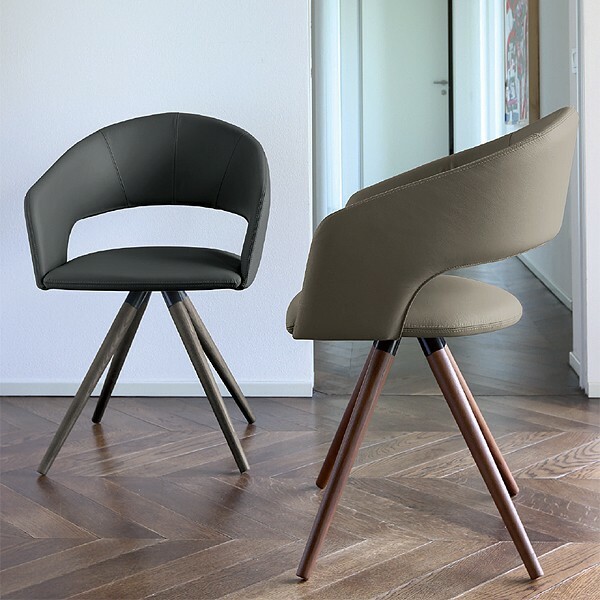 A luxurious and uber-stylish dining chair with an instantly recognisable silhouette. The seat has a strong metal frame, padded and upholstered in a wide range of fabric and leather options. The elegant turned legs are available in a choice of wood finishes. See links below for all fabric and leather options.